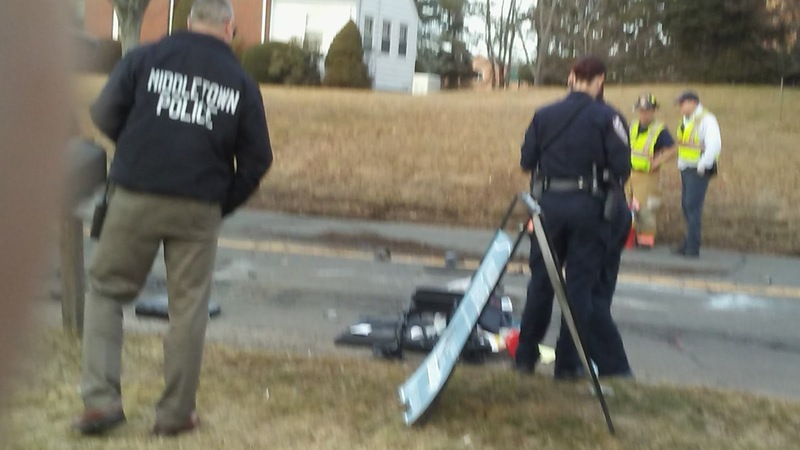 The Middletown Insider: Breaking: Rollover on Saybrook Rd. 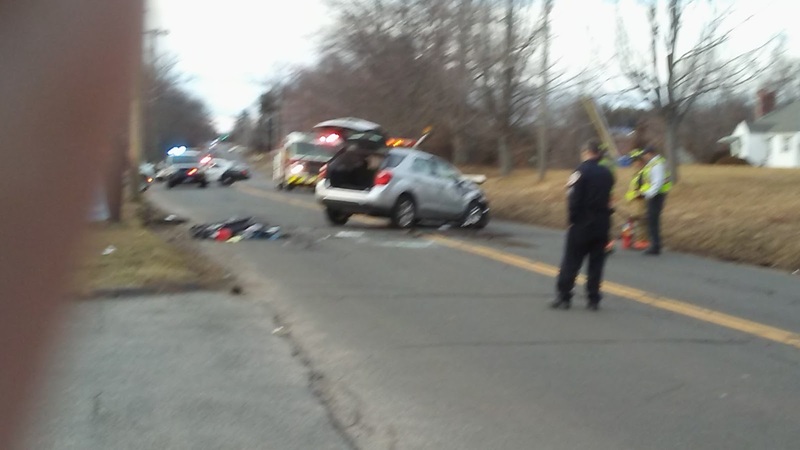 Breaking: Rollover on Saybrook Rd. 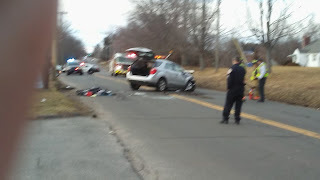 southbound side of Saybrook Rd., according to Officer Nichols, who was at the scene. He said the unidentified driver appeared to shaken up, but not seriously hurt. 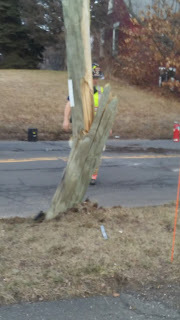 The accident occurred between 561 and 577 Saybrook Rd..
As I walked toward the scene, firemen cautioned me to move away from the wires, as the vehicle had struck a telephone pole, nearly breaking it in half. 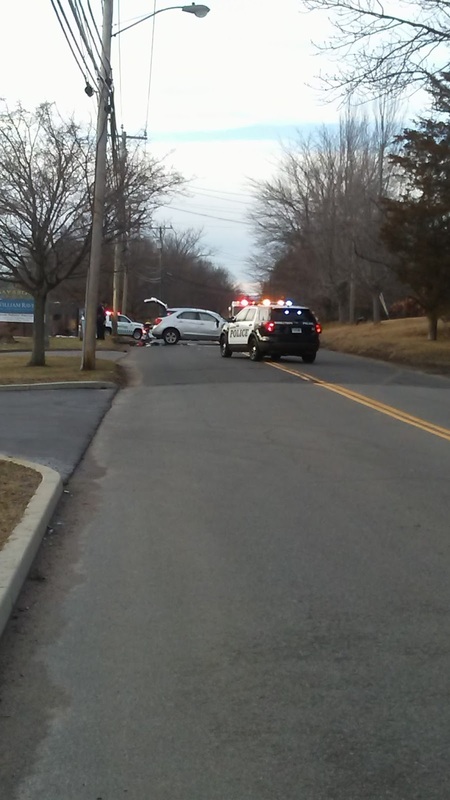 Southbound traffic was diverted onto Rt. 9 at the ramp or turned around. Northbound traffic was turned around in The Grog Shop parking lot. Give that the accident happened at rush hour, there was traffic backed up considerably in both directions. 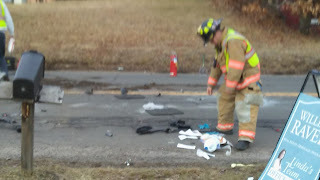 The road was re-opened to traffic at approx. 4:15.